For Queens County and its vicinity, we're showing you all the registered pools, a few of them have no GPS coordinates and cannot be found on the map at the map. We most likely do not know all of the Swimming Pools in Queens County. Are you missing any? Contact us!. There are often discounts accessible to senior citizens and small children for independent swim. 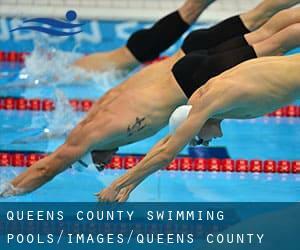 Discover by contacting your nearest pool among these Queens County Swimming Pools. If you are looking for Queens County Swimming Pools, it's good to know lots of of them belong to gyms or sports centers which also deliver lessons. Get informed by calling the premises. Swimming is really a sport for all ages. It helps young individuals to tone their muscles and grow wholesome and strong. For the elderly, there's no far better way to physical exercise than choosing a Queens County Swimming Pool to escape from day-to-day routine. Swimia.com demands your feedback on Aquagym in Queens County to ensure all the information about swimming in Queens County is valid. There are a lot of alternative treatments to chlorination, with great advantages that make sure far better water high quality in the pool. One possibility could be the mineralizer, which purifies water naturally and significantly decreases the chemicals utilised and maintenance time. Try Chlorine Absolutely free pools in Queens County. There are many causes why you should choose a heated swimming pool in Queens County. The most necessary one relies on the importance of keeping the body temperature stable. If the water is too cold, your body will try to warm it up and you will lose strength to swim appropriately. If you're tired of getting eyes and irritated skin, obtaining a saltwater pool in Queens County can be the resolution. You should know that the level of salt from these pools is well beneath the level of salt from sea water, particularly they're talking about a tenth or less. One on the benefits of outdoor swimming in Queens County could be the possibility to sunbathe during the summer season. Taking it with added care, sunbathing is healthy since introduces Vitamin D into the body, so the best choice seems to be switching between indoor and outdoor pools depending on the season. Enjoy the best indoor pools in Queens County and don't worry about the weather. These facilities are open all seasons and you can enjoy a swim at the same temperature every day of the year. 133-01 41st Road , Flushing , Queens , NY , USA (Postal Code: 11355). Among all the activities supplied by the center, if you are thinking about swimming you will delight in 20 yards, 4 lanes, Indoors. Just in case you want to contact this Swimming Pool prior to dropping by, we only know the phone number. 32-23 Queens Blvd. , Long Island City , Queens , NY , USA (Postal Code: 11101). Among all the activities offered by the center, should you be thinking about swimming you might delight in 25 yards, 6 lanes, Indoors. If you need to contact this Pool, email address and phone number are both number. 138-46 Northern Blvd. , Flushing , Queens , NY , USA (Postal Code: 11354). Few days ago a normal user of this center told us they offer 25 yards x 45 feet, 6 lanes, Indoors. Furthermore, they keep in good conditions 20 yards, 3 lanes, Indoors. For this Swimming Pool, only phone number is number here. Fitzgerald Gymnasium , 65-30 Kissena Blvd. , Flushing , Queens , NY , USA (Postal Code: 11367). Among all of the activities offered by the center, if you are considering swimming you may appreciate 25 yards x 42 feet, 6 lanes, Indoors. Just in case you need to get in touch with this Swimming Pool before dropping by, we only know the phone number. 177 Baisley Blvd. , Jamaica , Queens , NY , USA (Postal Code: 11434). Among all of the activities provided by the center, should you be interested in swimming you will enjoy 25 yards x 30 feet, 9 feet depth, Indoors. Just in case you desire to get in touch with this Pool before dropping by, we only know the phone number. 238-10 Hillside Ave. , Bellerose , Queens , NY , USA (Postal Code: 11426). Swimmers like you have reported 25 yards, 4 lanes, Indoors. Also, you will find 25 yards, 6 lanes, Indoors. If you must make contact with this Swimming Pool, email address and phone number are both number. 15 Borage Place , Forest Hills , Queens , NY , USA (Postal Code: 11375). This sports center offers 20 yards x 20 feet, Indoors. Contact facts for this Swimming Pool for example phone number and email address are number. Avery Avenue and 131 Street , Flushing , Queens , NY , USA (Postal Code: 11368). Among all the activities offered by the center, for anybody who is considering swimming you will enjoy Olympic size x 25 meters, 8 lanes, Indoors. Just in case you would like to contact this Pool prior to dropping by, we only know the phone number. 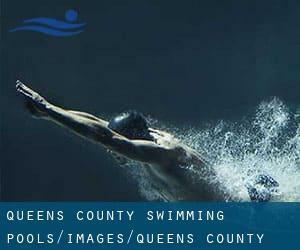 Swimming is often a great concept to keep your body active for the duration of your visit to Jamaica (Queens County), or even when you are a local. Swimia helps you to find your closest Pool in Jamaica. It's hard to visit Queens County without dropping by Queens (with 2.272.771 residents). Currently Swimia is showing you all the Swimming Pool in Queens along with the closest pools located in its vicinity. Arverne is one of the key cities of Queens County, so it is should be easy to find Pool in Arverne. You are running out of excuses to swim, so do not wait anymore and go for it! Without a shadow of a doubt, swimming in Astoria is the best way to unwind after perform. Take a couple of minutes to browse Swimia's catalog to find a Swimming Pool in Astoria.